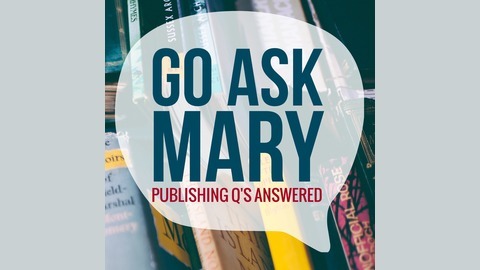 Welcome to Go Ask Mary, a podcast created with YOU in mind. When I was mentoring writers they often came to me with questions. At one point, the attendees gathered for dinner, then had a conundrum about a publishing question. One of them said, “Well, go ask Mary.” When they shared that with me, I thought it might be a fun name for a podcast where your questions are highlighted. 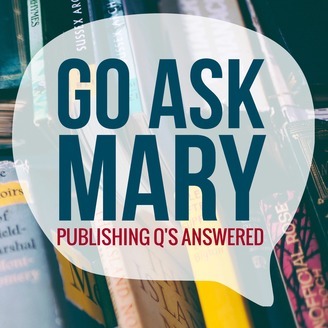 Welcome to Go Ask Mary, a podcast created with YOU and your publishing questions in mind. This episode's question comes from Liz Rasley, and she asks about what goes on behind the scenes at an editor's desk. If you'd like your question answered, just click on the right hand side of this blog where there's a grey box and a microphone >>> Record your question, then wait and see when your question will get answered! It's simple. It's quick. It's succinct. If you enjoy the podcast, would you be willing to share it with your writer friends? I would so appreciate it.